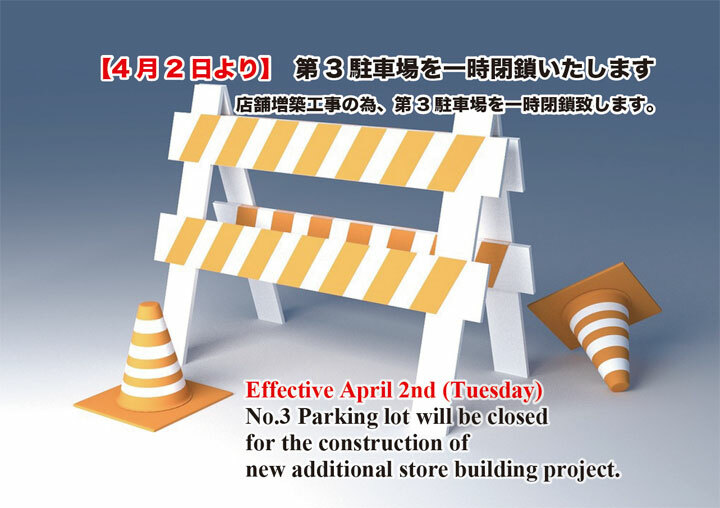 No.3 Parking lot will be closed for the construction of new additional store building project. We deeply apologize for inconvenience may cause you. No.1 & 2 Parking lot, and also the former store’s back space (under the highway) are available as usual. Copyright © 2002- NISSIN MEAT PRODUCTS Co.,Ltd. All Rights Reserved.